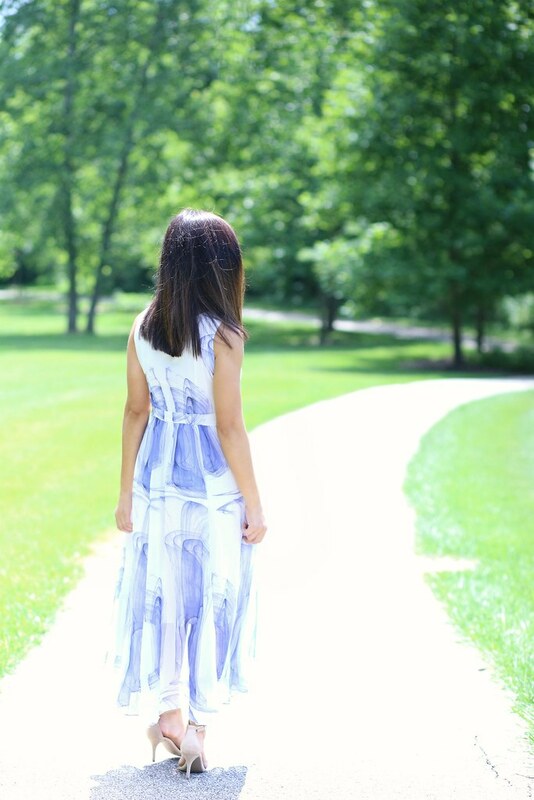 Maxi dresses have become a summer staple in my closet for a long time. This dress is beyond beautiful. Even though the length is long, the fabric is so lightweight and breezy, making this dress perfect for a warm summer night. This gorgeous print is giving me the romantic and vintage feels. I think this dress is also a great candidate to wear to a summer wedding. The dress is fully lined and completely opaque. I've worked with VIPme many times in the past and my experience has always been great. They have a ginormous collection of dresses. I feel like I am at a vintage shop every time I browse their site =) I have a couple more dresses that I will be reviewing in the next coming weeks so stay tuned. If you're interested in this dress or anything from VIPme, please use code SYDNEY675 to get $5 off on orders over $50. This is so timely. Thank you. I have a wedding to attend in the Caribbean next month and had no clue what to wear. This your upcoming posts will be helpful. Thanks for caring to share. Hi Sydney!Absolutely beautiful dress! Have a blessed week! Ok you wanted feedback on the 2 piece orange bathing suit? It's absolutely gorgeous. The top fits me really well. The bottom not so much-- frankly, I've been eating Mediterranean pastries ( baklava etc) and I underestimated how many calories those cute little things have...deadly!! !